As promised, Huawei has officially unveiled another new snmartfon from your Honor series. 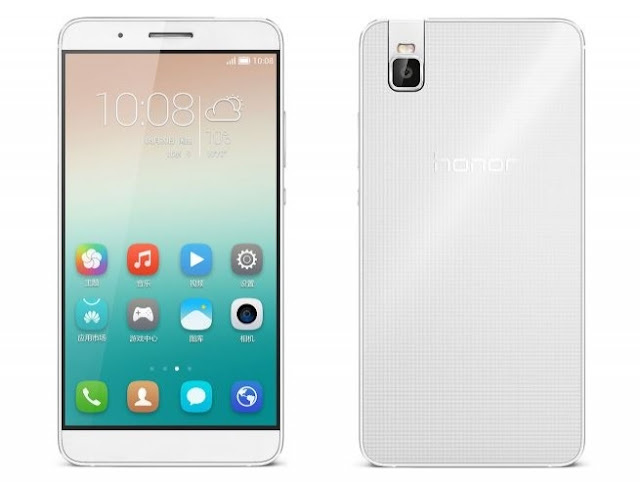 Titled Honor 7i, this phone at first glance looks like any other, but it has one unique function. The camera on the back of the phone is also a front camera, because it comes with the option of rotation. The camera on the back can be easily converted into a front camera that lets one, and this will allow the excellent selfies thanks to 13MP sensor. There is a fingerprint sensor with the device. The phone uses a metal frame and a slim 7.8 millimeters. It will be available two versions of the phone - one with 2GB of RAM and 16GB of storage space, and the other will have 3GB of RAM and 32GB of storage. The first model has a price of about $ 250, while others cost about $ 300. At present, Huawei Honor 7i is available only in China, but for now there is no information on whether and when to be available globally. The rest of the specifications Huawei Honor 7i smartphone includes a 5.2-inch display (1920 x 1080p), an eight-core Snapdragon 616 processor with Adreno 405 GPU, support for two SIM cards, 4G LTE / 3G, HSPA +, Wi-Fi 802.11 b / g / n /, Bluetooth 4.0 GPS. The battery has a capacity of 3100mAh.